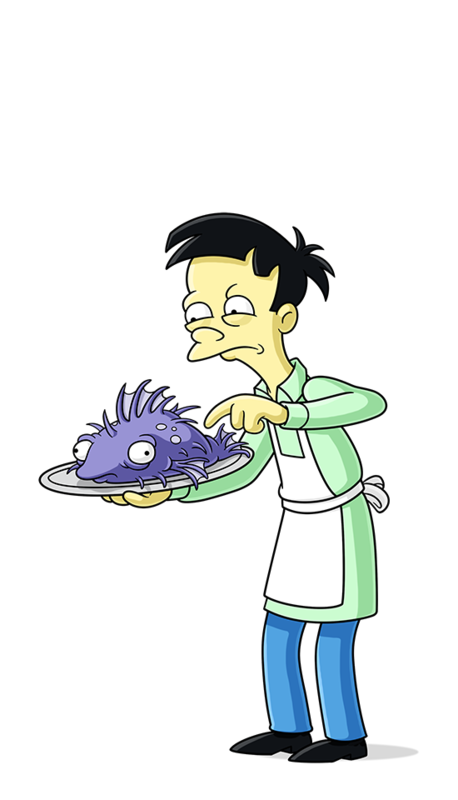 and Moe learn the saga of Carl's family. Marge trades in her mom-chauffeur hat for a real one. Bart falls in love with the girl who moves in next door, only to find that she prefers the school bully. Homer mortgages his house to save Moe's bar, but Marge ends up taking control of the business and spends so much time with Moe that Homer fears his marriage is in trouble. In a ghoulish gallery, Bart hosts three bloodcurdling tales of Halloween horror. Homer's life changes dramatically when he purchases a miracle hair growth formula. The Simpsons apply for membership at a posh country club. Marge opposes a political group made up of childless people who've grown fed-up with accommodating people with families. When the Simpsons construct a tennis court in the backyard, Bart pairs up with Marge and becomes a tennis whiz... much to Homer's disappointment. Marge is jailed when she is convicted of stealing from Apu's convenience store. Bart becomes the shame of Springfield after a bungle on the playing field causes the Isotots to lose a pennant game; Homer and Marge fight Reverend Lovejoy and his wife over possession of Homer's mattress. Lisa becomes mother-of-the-house when Marge is hospitalized with a broken leg. 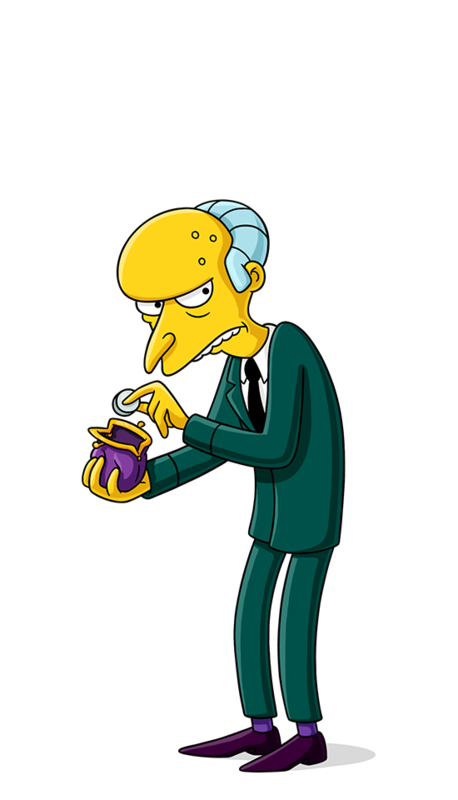 Homer acts as Mr. Burns' assistant while Smithers is away on vacation. Lisa is overjoyed when she befriends some college students; Bart becomes a boy-in-a-plastic-bubble after he's bitten by a Chinese mosquito. 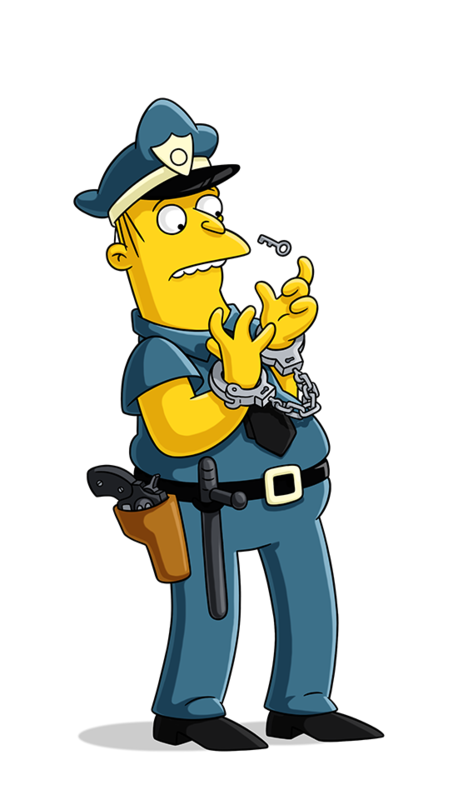 When Wiggum and his men prove ineffective in controlling a citywide riot, townspeople begin to feel unsafe... until Homer forms his own police force. Moral center and middle child. Misunderstood, overlooked, middle child. Bart's 8-year-old sister is intelligent, sensitive, talented, and creative. Plays a mean saxophone, expounds on the environment, political issues, and the virtues of vegetarianism. Says: "Stop it Bart!" and "It's up to you whether you confess to Mom and Dad but I just want you to know that I'm going to tell them myself in six minutes." 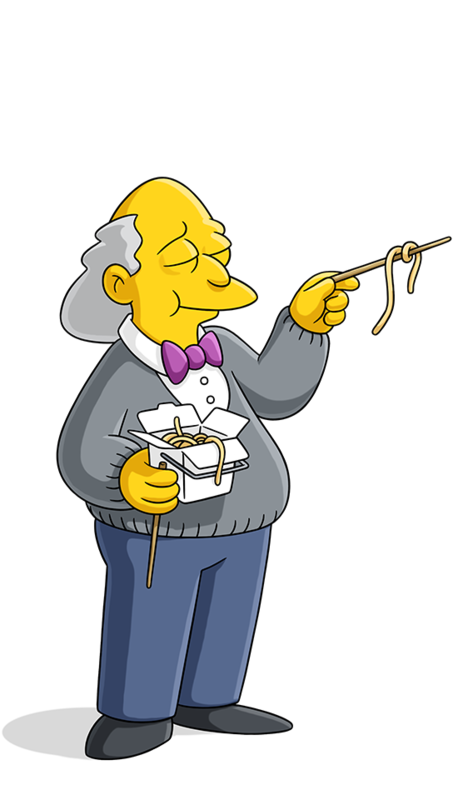 As the most powerful man in Springfield, Mr. Burns has lived through 12 recessions, 8 picnics, and 5 years of McKinleynomics. Mad scientist who makes inventions that never work. Made robots to protect Monty Burns which turned violent towards the boss and exploded. 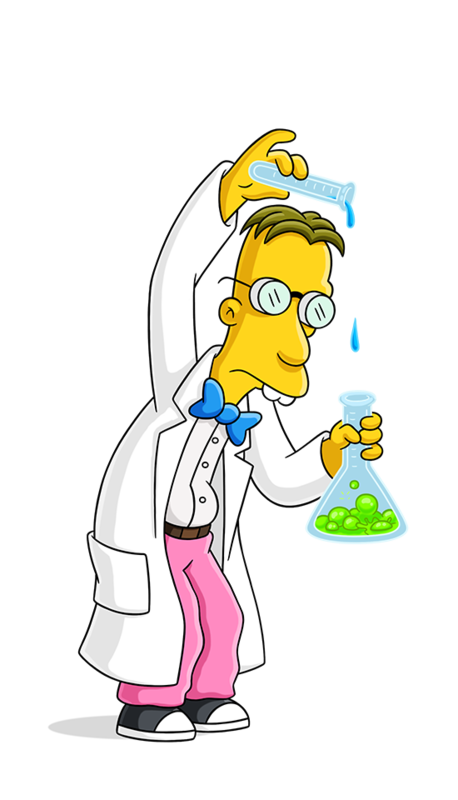 Frink also blew up Moe's Tavern when attempting to hit a meteorite plunging towards Springfield. When Homer went into the 3rd Dimension, the Professor gave his usual detailed oratorical scientific explanation for this phenomenon. 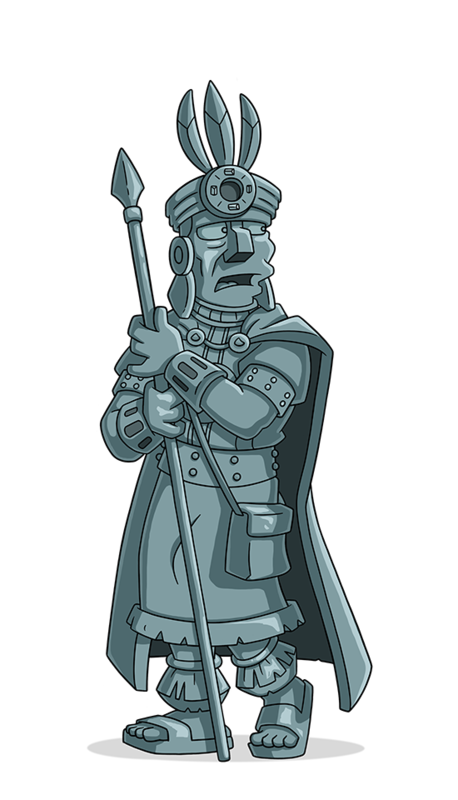 Dewey Largo. 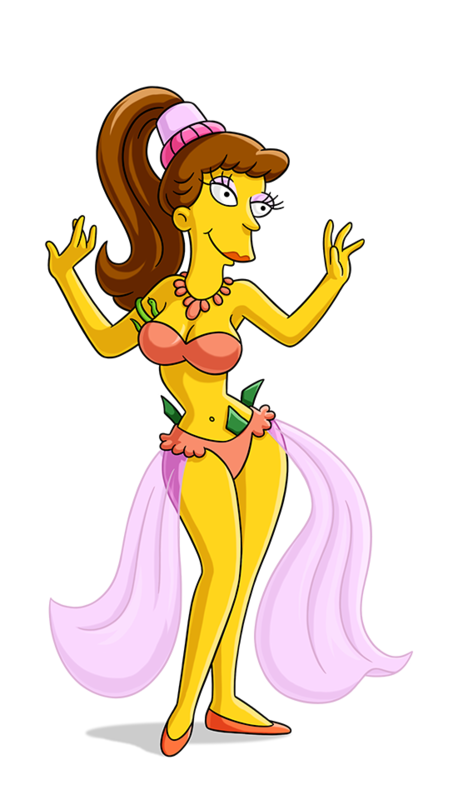 Music teacher/Springfield Elementary. Wears knit sweaters and bow ties. Graduate of the Capital City State College of Music and Animal Husbandry. His compositions include "Red, White & Blow: a Patriotic Medley for Apathetic Student Brass" and his moving tribute to Leonard Bernstein, "And the Wind Cried Lenny." 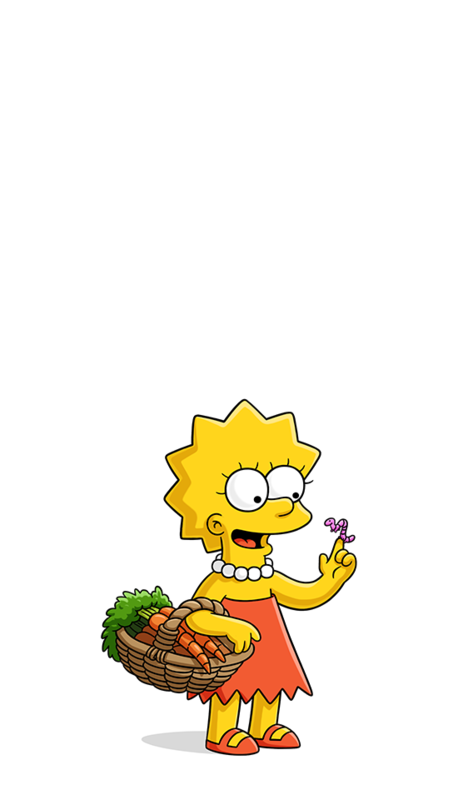 Says: "Lisa Simpson! There's no room for crazy bebop in music appreciation class." 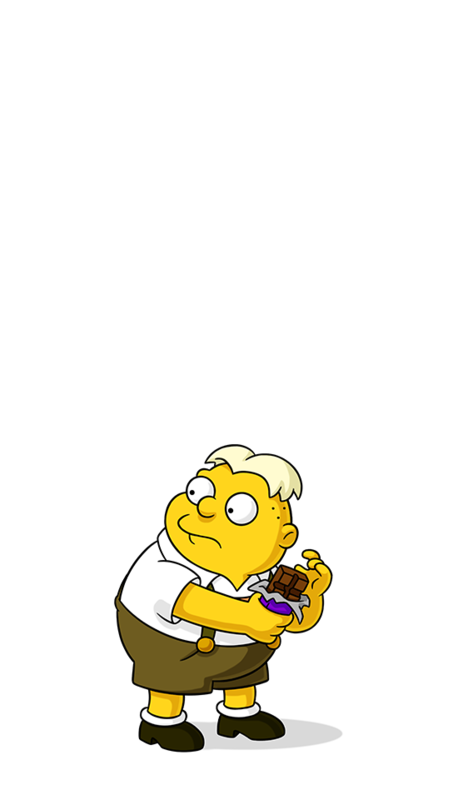 German exchange student who befriended Bart on the school bus by offering him a lick of his "Flavor-Wax" candy. For his school diorama project he chose "Willie Wonka and the Chocolate Factory" but ate the project before Principal Skinner could view it. Says: "Ja. Das ist gut." Waiter at Happy Sumo Japanese restaurant and owner/operator/teacher at Springfield Martial Arts Academy. Local Emmy®-winning anchor/Springfield Action News. 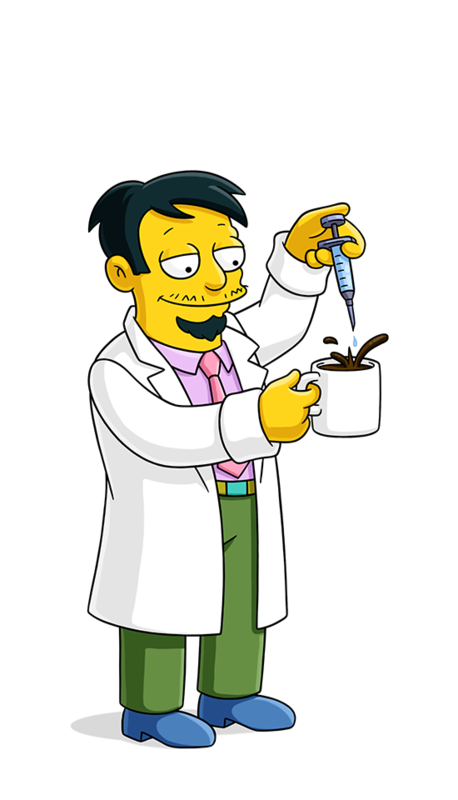 Always first to announce the latest Springfield scandal on his "Eye On Springfield": nuclear warning; school closing down; kidnappings, etc. Won the lottery and turned up the news with a huge gold medallion round his neck. During a satellite link-up with Homer in space, a load of ants escape and float about the spaceship. Brockman hooks into satellite linkup, sees a screen sized ant and immediately surrenders to "our glorious antmasters." 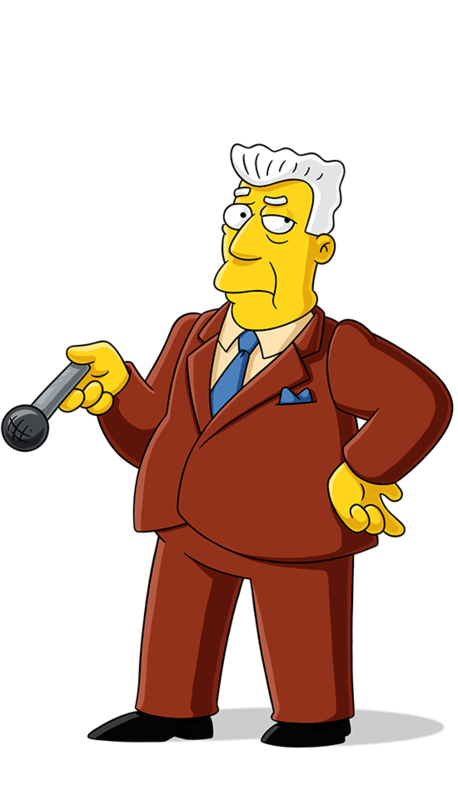 Says: "Hi, I'm Kent Brockman" and "Tax Fraud!" 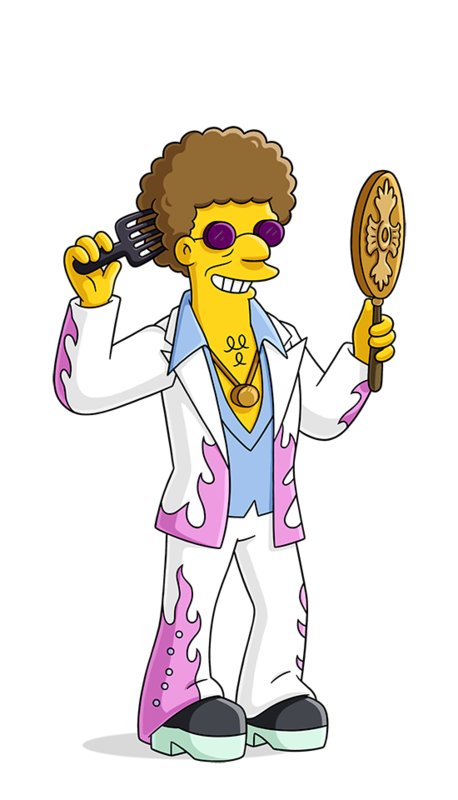 A disco aficionado and is usually featured wearing a rhinestone-encrusted leisure suit. 1970s retro nerd. Hair: Afro. Attitude: Arnold Horshack meets Arthur Fonzarelli. Dress: Tacky. Refers to himself: In the third person. Formerly, an African tour guide; currently, president of a small African nation. 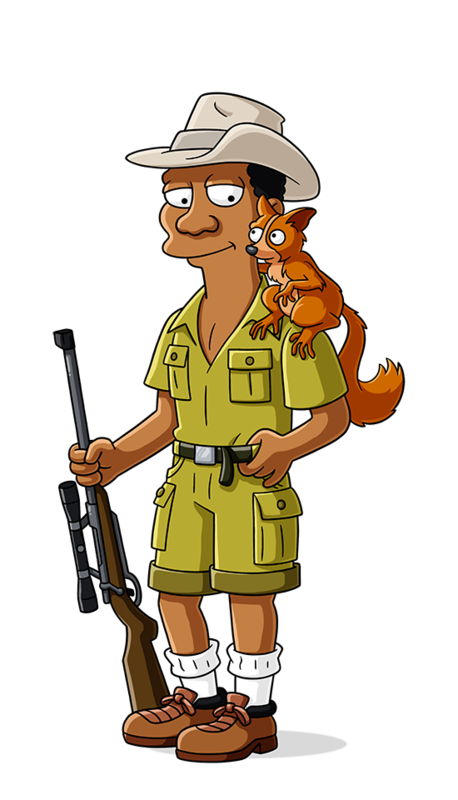 Turnoffs: Bush babies climbing on his shirt; poachers. Turn-ons: Eavesdropping in the dark; dancing into a frenzy. Special talents: Mosquito-net reversing; hippo wrangling. Drink of choice: Cow's blood. Favorite pastime: Sitting quietly and waiting for nature to unveil herself. Belly Dancer at Davey Jones Locker Room. She's a serious actress waiting for that perfect break. 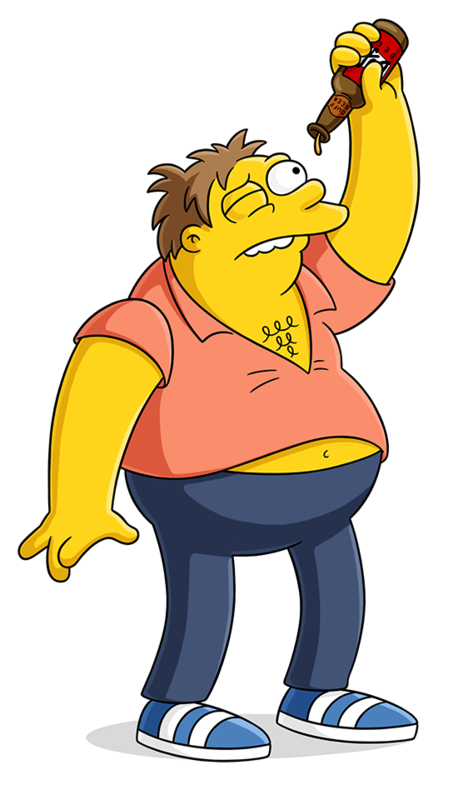 Studied acting under Troy McClure, and voice characterizations with Rainier Wolfcastle, star of "McBain." Her wide range of film roles include a dancing girl in Dreamskates; the lucky limbo girl in How To Stuff A Wild Zucchini; and the belly-dancing creature in The Jelloidium Factor. Mexican insect-costumed entertainer. He has become a symbol for the hapless goofball anarchist in everyone. 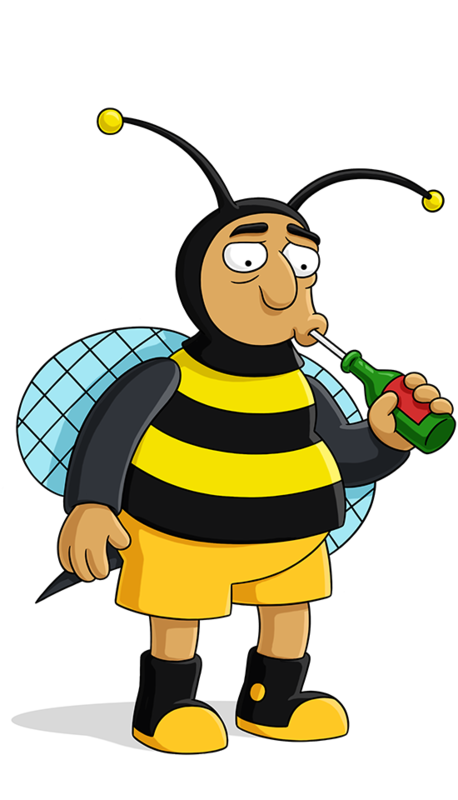 He is perhaps best know for his "frightened antennae" routine and the hilarious ten-minute choking sequence with the crop-duster in "No Es Bueno." He's also an accomplished Shakespearean actor. Says: Ai Ai Ai! Es muy malo!" or "Ai ai ai! La policia!" Homer battles killer mutants after Springfield is destroyed by a nuclear blast; a matter- transportation device melds Bart with a housefly; in Colonial times, Marge is accused of being a witch. Homer's popularity skyrockets when he is chosen as the leader of a secret organization. When Krusty takes the Sabbath off so he can study for his bar mitzvah, he chooses Homer as temporary guest host. But when Homer's career unexpectedly takes off, Krusty finds himself out of a job. The Simpsons eat too much candy on Halloween and experience nightmarish tales of horror while they sleep. Homer finds a new friend in a woman who acts just like him when Mr. Burns hires the other Simpsons as his live-in virtual reality family. Presented by FXX. When Moe goes broke romancing his new love, he enlists Homer in a scheme to collect on an insurance policy. Homer and Marge rent an apartment in tony Waverly Hills so Bart and Lisa can attend a better elementary school. Bart must apologize to the country of Australia after he tricks a boy from down under into accepting an expensive collect call. Fat Tony asks for Selma's hand in marriage; Bart discovers a talent for sniffing out truffles. Classic movie monsters are attacked by their spouses; Lisa and Bart exchange murders in a Hitchcock spoof; Bart is the key to saving Springfield from zombies; Moe's microbrewery mixes beer with Homer's blood. Marge doesn't approve of Homer's Christmas spirits. After Bart gets into trouble at school, Homer drives Bart to Oregon, where he attends a behavior modification camp; Marge becomes a popular drug dealer after she sells Homer's pain medications during a yard sale. When Bart discovers that his divorced teacher, Mrs. Krabappel, has placed a "personals" ad in the local newspaper, he decides to create fake correspondence. When the Simpsons allow members of the retirement community to move in with them, Marge worries that Homer is picking up their habits and is turning into an old man; a gang of bullies accepts Bart as one of their own. Comic Book Guy has a heart attack at the Tom Savini show. The Simpsons look on at the failed attempt to blast the comet. Homer has an acid trip with Candace. Mr. Burns asks Homer for advice on how to attract women. Marge tells Homer she was his first kiss. Bart asks Homer if he's a bad kid. Homer gets job offers with his newfound confidence. 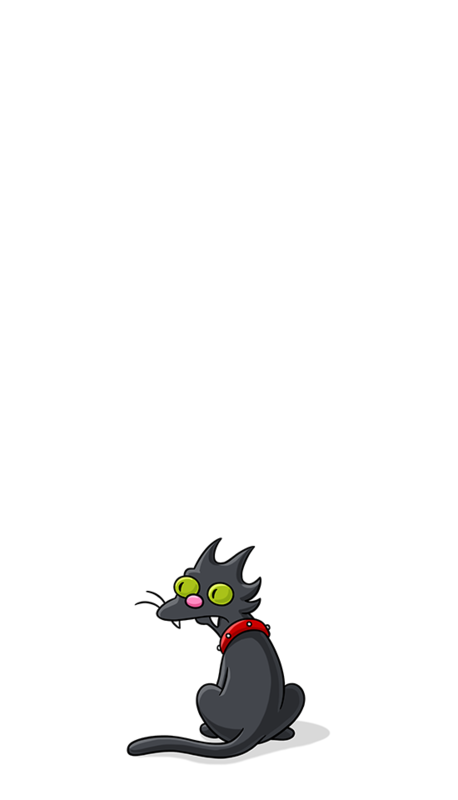 Bart plays Mouse Catch on a mysterious island filled with life-sized childhood games. The Flanders family follows Homer to preach the word of the Lord. Homer hosts a cell phone decorating party for Lisa.